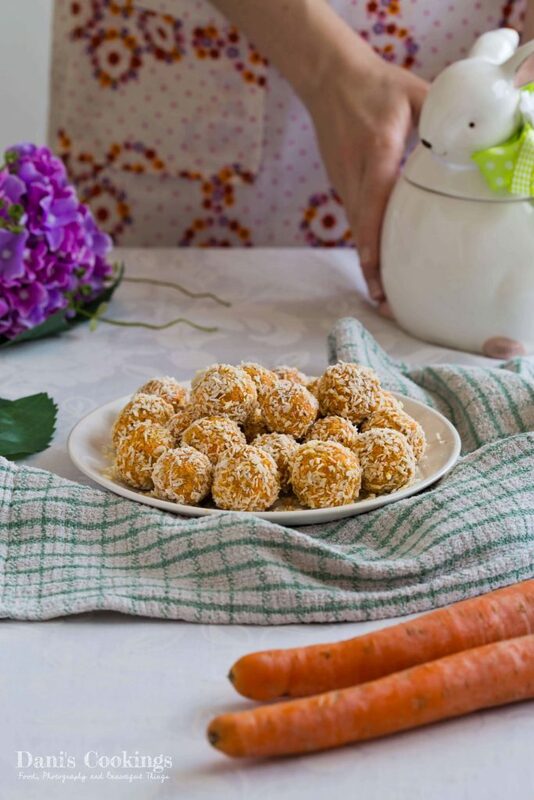 Delicious meets healthy: that’s the slogan for these wonderful Raw Carrot Coconut Truffles. 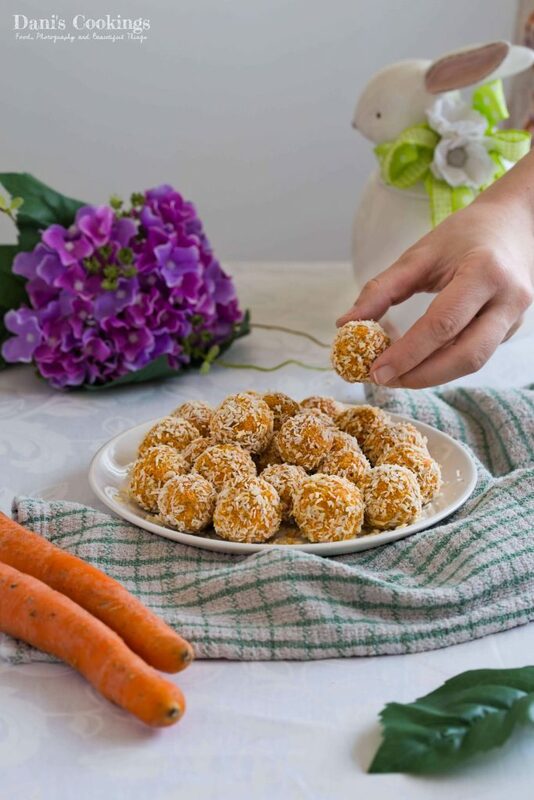 They are an easy to make tasty snack, perfect for kids and also for their parents. 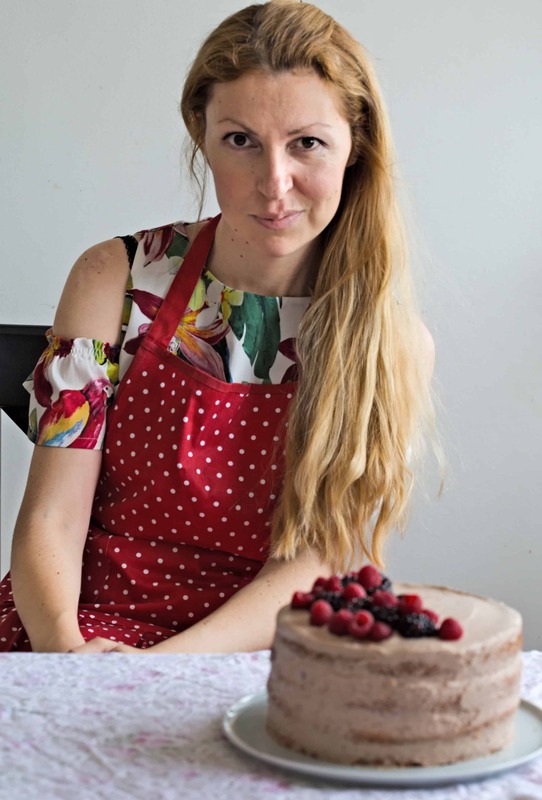 I started it some time ago with the Healthy Apple and Date Cake and I was amazed by its taste! I suddenly realised that “cake” does not have to be a synonym of “unhealthy”. 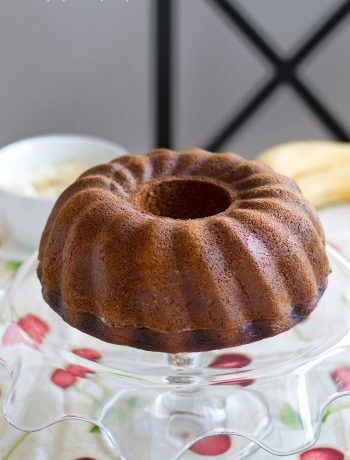 Later on I made few more healthy baked desserts – like the quick and easy Banana Bundt Cake with Coconut Cream Cheese Frosting and the very delicious Healthy Coconut Date Cake… And one day I made a no bake healthy cake which was unexpectedly great and surprisingly easy: Raw Avocado Banana Cake. But I won’t stop with that one! 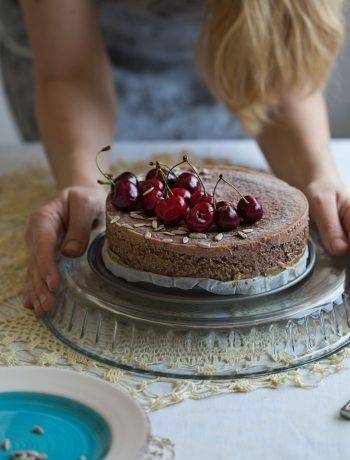 Raw desserts have a special charm: they can’t stay too long in the fridge, unless frozen, but when just made, they have a unique taste. 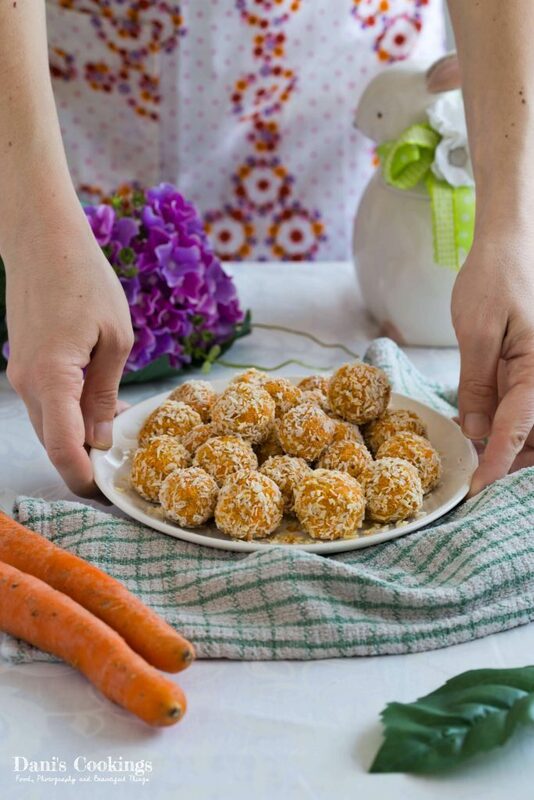 The current Raw Carrot Coconut Truffles are sweet and fresh. They are also full of nice flavours. I am not a huge carrot lover but I found them very tasty and satisfying. They are great as a snack or as a dessert. I had them even for breakfast! 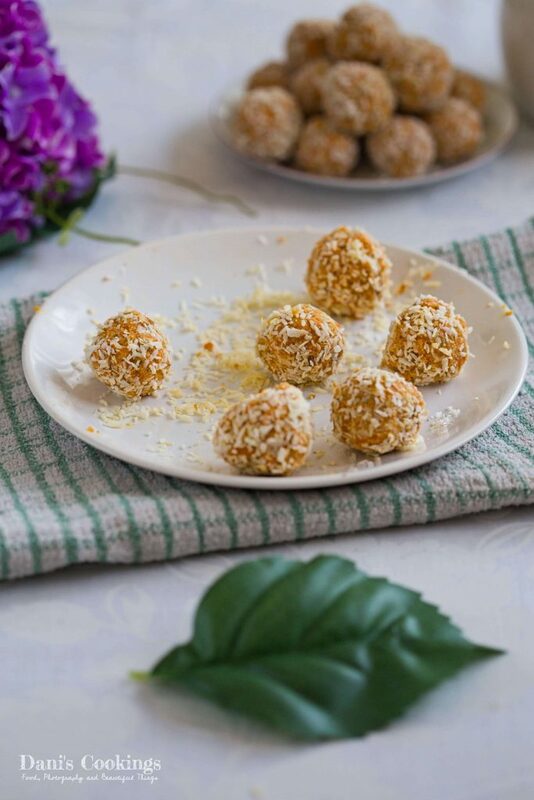 Made with healthy ingredients, these truffles are also loaded with minerals. 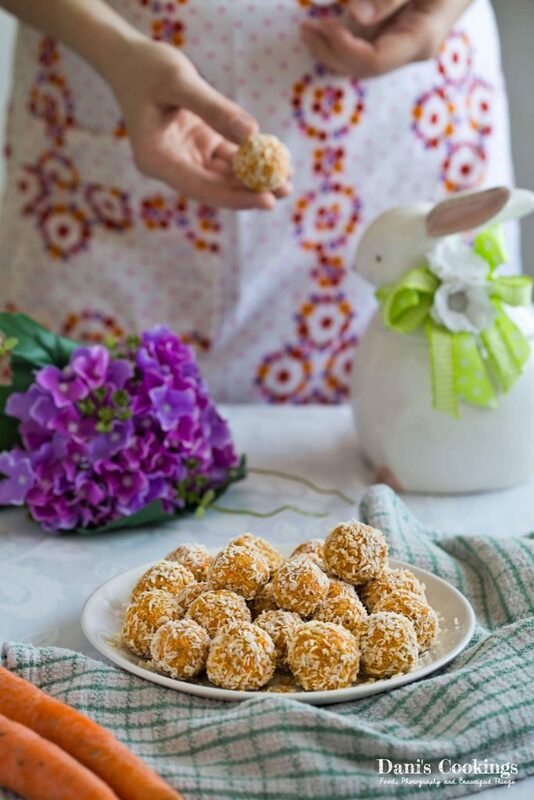 But I have to confess that my initial reason and main inspiration to make these truffles was… the porcelain rabbit that you see on the photos! 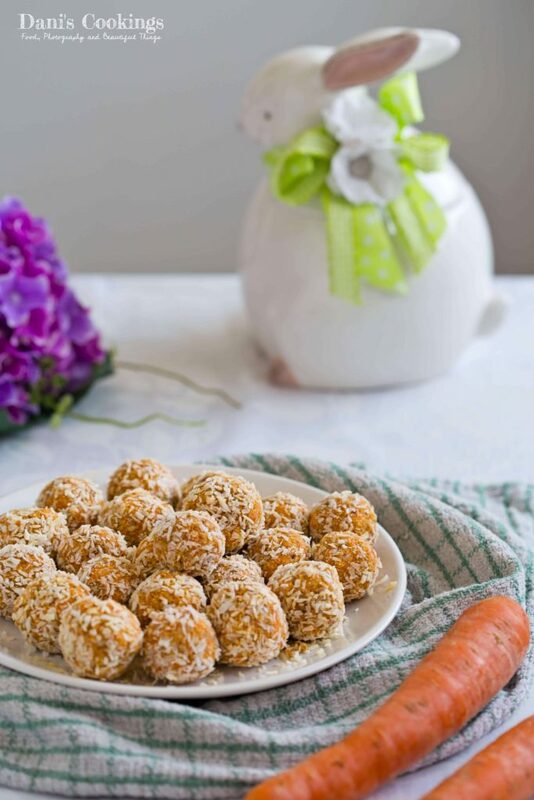 It was gifted to me (full of sweets, of course) and I decided that it would be so nice to have it filled with something made from carrots. That thought was enough for me to immediately come up a recipe. Unfortunately our son didn’t like the truffles. I think he didn’t approve the texture of the grated carrots and shredded coconut. Nevertheless my better half and myself enjoyed them quite a lot. We shared them with some friends who loved them too. Last but not least: this recipe is part of the blog event “Colourful food”. I am so excited to take part of it, as it is being hosted by my blogging friend Jenny. As I love colourful themes so much, I just couldn’t help but participate in that event! 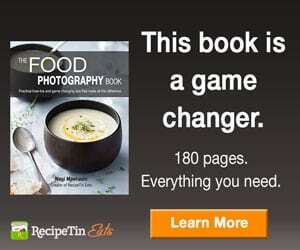 The current recipe is ORANGE colour. 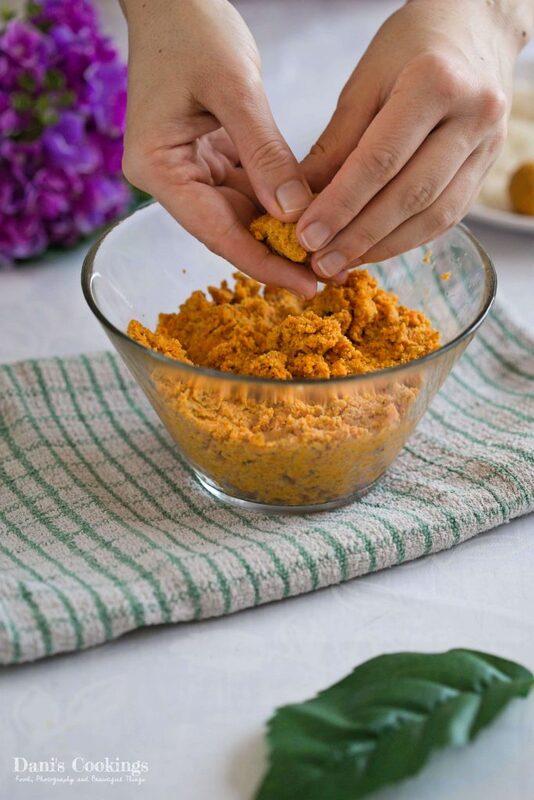 In a food processor combine all ingredients except the shredded coconut. Process at high speed for 3-5 minutes, until almost smooth mixture. With your hands make small balls from the mixture. 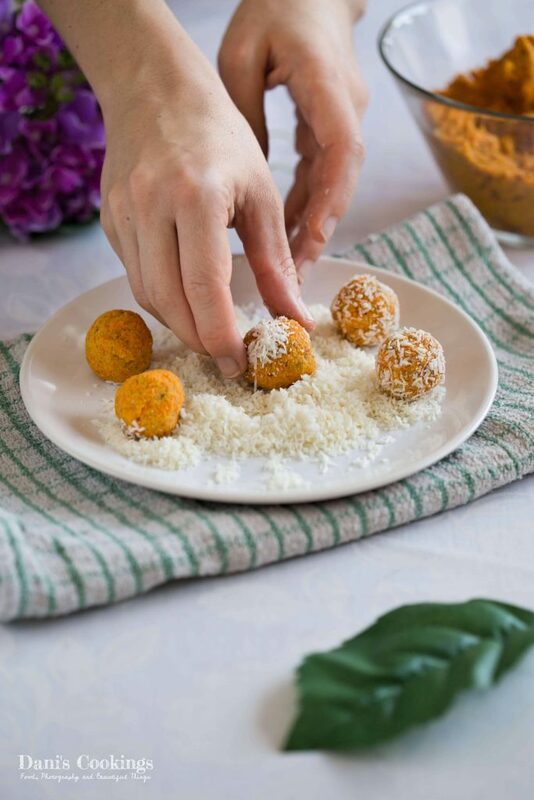 Coat them with shredded coconut. Refrigerate for 1-2 hours before serving. Keep leftovers in a airtight container in the refrigerator for 2-3 days. Daniela, thanks for taking part in the event, your truffles look delicious! 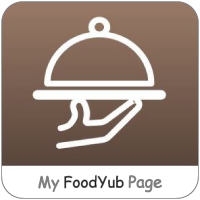 Apart from that I find interesting how you describe your journey with healthier food. I feel I am the same, I don’t think I will ever stop baking, I just find it too relaxing. 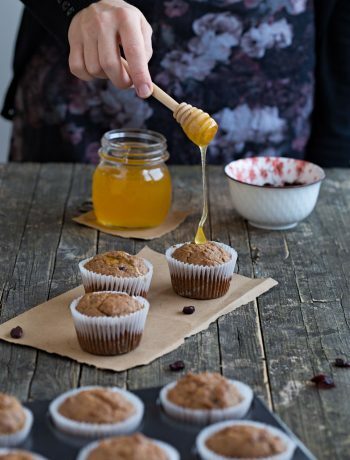 However, it doesn’t hurt to explore what is out there and I love the challenge to create something delicious, yet healthy or at least healthier. And never forget, by baking with your son, you are creating memories. I cherish all the times I spent with my grandma in the kitchen! Thank you, Jenny for your nice words!